Wireless doorbells are becoming more and more popular nowadays especially for homeowners who are fond of smart home systems and appliances. Because of its convenience and easiness to use, there is a wide range of wireless doorbell systems that you can choose from. But first, allow us to introduce you to how it works, how to choose one, and tips for getting the most out of it. Wireless doorbell packages will most likely have doorbell transmitter and chime box receiver. You will install the transmitter just outside your house, or wherever you want to install your wireless doorbell. The transmitter will now send a radio signal to the receiver inside your house when someone presses the doorbell. You can choose a wireless doorbell system that will require replacement batteries or you can simply connect it to the main electrical system of your house. Considering the fact that you do not need any wires in using your wireless doorbell, you can use as many receivers as you want. There are even some homeowners who tend to install receivers in garage or basement areas to ensure that they will be able to hear if someone is on the door while they are working on something. What features should I look for in a wireless doorbell? 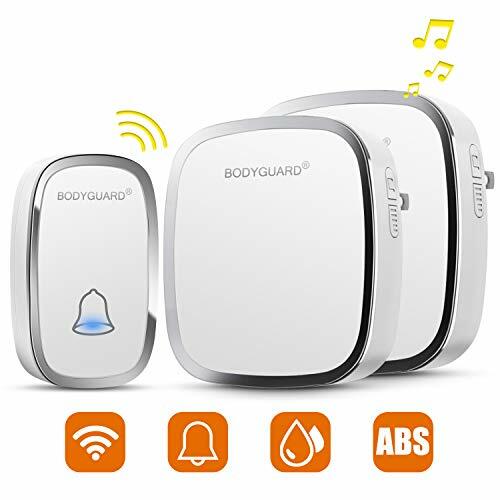 In order to make sure that you buy the best wireless doorbell for your house, here are the following factors that you should consider. You need to make sure that the wireless doorbell system you are going to buy comes with speakers so that you can rest be assured that you will be able to hear it clearly when someone rings the bell. The wider the range is, the better it would be. Make sure that it can pass through thick and solid walls by choosing a doorbell system with a wider range than other models. Considering the fact that you are going to place the push button outside your house, make sure that it can withstand the harsh elements of nature such as storm and extreme sunlight. Do not buy poor quality wireless doorbell system because it will easily break down after a couple of months use. 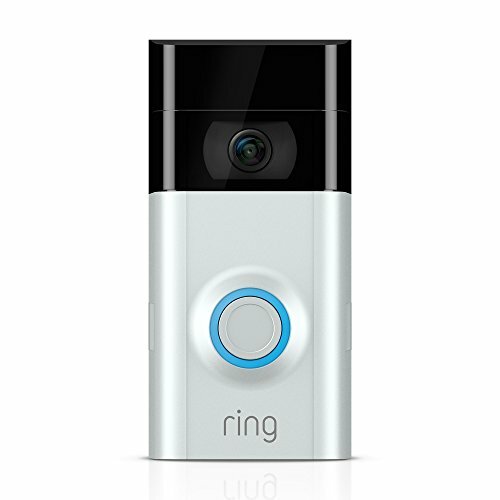 This classic wireless doorbell system ranges up to 500 feet and 1000 feet in an open area. It’s easy to use and install, convenient, and durable. 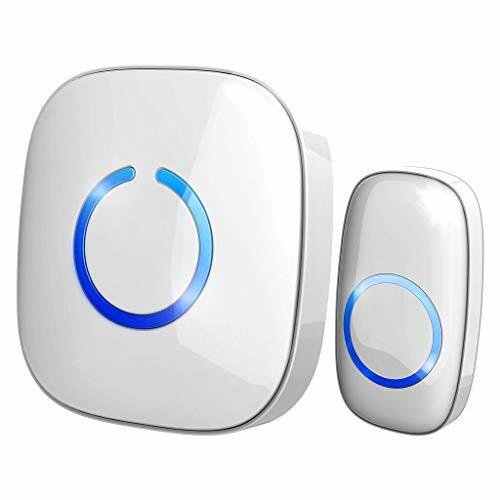 The manufacturer is known to be producing high-quality wireless doorbells, and it includes useful features for better user experience. 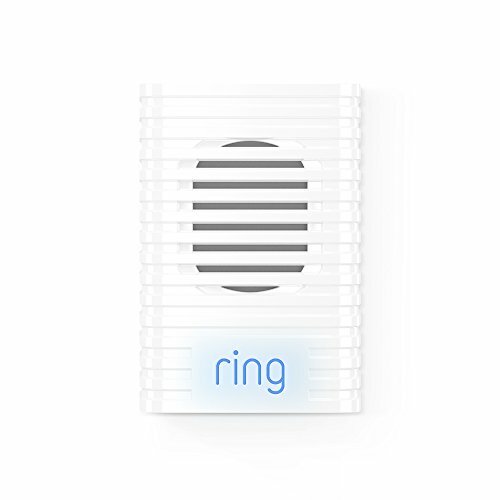 This wireless doorbell system is also used as an emergency paging device. You can easily contact your caretaker or loved ones if you are tied to bed and sick. You cannot connect it to your main electrical system, requiring you to buy replacement batteries every now and then. This high-performance wireless doorbell system will help you to complete your smart home system appliances. It can last up to 3 years if taken care of properly, and it’s designed to be durable and reliable. It’s ideal for homeowners who are looking for a one-time investment for their doorbells. This wireless doorbell system lets you choose from 36 chimes, it is durable and reliable. It does not cost that much, so it’s ideal if you are on a tight budget. It offers useful features that make it a better doorbell system compared to your old one. Classic Wireless Doorbell - Stylish modern design, artful with simplicity, elegant and unique. Excellent materials keeps itself from getting higher temperature & interference. Waterproof & Dustproof, remote transmitter button is rated IP44 weatherproof. Works between -4 °F to 140 °F; withstands various harsh weather conditions, acceptable for outdoor use. Long Operating Range - This doorbell operating range up to 1,000ft/300m in open area ensures you to hear the bell and answer the door in time. Either you are occupied a few rooms away or on another floor, in the garden or kitchen, you will always be easily informed when someone is calling from outside, Ensures you will never miss a visitor. 36 Beautiful Melodies & Adjustable Volume - The wireless doorbell offers a wide selection of 36 chimes for your personal taste, y 4-level of volume range from 20dB to 80dB to meet your needs for different occasions. Flashing light with audio alert indicators which is easy for people including the hearing impaired to notice. 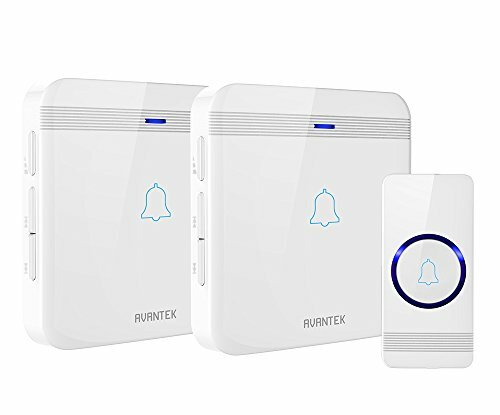 You can easily connect this wireless doorbell system into your Wi-Fi as you wish, it’s compatible with Ring Pro, Ring Video Doorbell and Sticks Up Cam for better control of your wireless doorbell system. This wireless doorbell system will let you speak to anyone from your door using your laptop or even smartphone no matter where you are. This is one of the latest systems that utilizes advanced technology for better convenient. It is compatible with Android phones, MAC, iOS, and Windows 10 laptops or smartphones. Now that you know the top wireless doorbell system and how to choose one, you are ready to buy your own! Keep the aforementioned tips in mind and you will be able to pick the doorbell system that will suit you the most.